Born and raised in Carinthia, Austria, Philipp currently lives and works in Vienna. 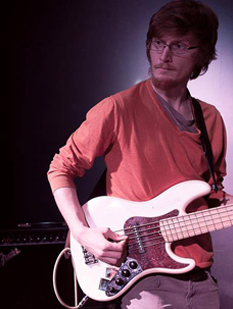 As a bass player (electric and double bass) he is active in different genres of music. In his past projects he has been involved in progressive metal and rock music, hip-hop, free improvisation, jazz, and contemporary music. As a composer he is always searching for new sound structures, the unconventional and progressive, ideas that cross interdisciplinary and cultural boundaries. Since 2015 he has been a member of the Viennese society FREIFELD, whose aim it is to support the progressive music scene in Vienna and on whose label FREIFELD TONTRAEGER he has released all of his music to date.